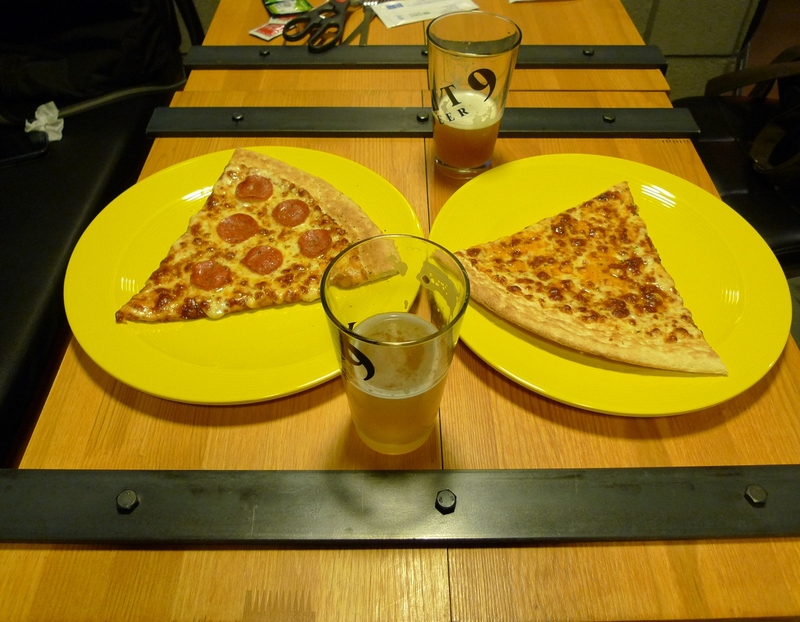 It is the pizza and beer joint you have been wanting, I promise you. This gem is a bit hard to detect from the outside - we all have been fooled by sidewalk signs before - so the fact that it has "craftbeer" in the title didn't lead me to believe what I would find inside. Malt 9 Craftbeer is a third-floor restaurant near the Grand Hotel junction, Shin Jeju. As you enter you are greeted by the heavenly smells of baked pizza and I was immediately homesick upon the first sniff. Authentic pizza smell is one of life's simple pleasures, if you know what I mean. The establishment is family owned and opened in December 2013 in the style of "The Booth," the family's other establishment in Itaewon, Seoul. The floorplan is open and the ambience is industrial and completely modern. I love it. There is plenty of room to bring a large group, and the size of the pizzas almost make it necessary. The menu is simple, offering four types of craft beer (woohooo! ), three types of pizza and coca-cola. What has kept me going back, however, is the sliced pizza. Your choices are cheese or pepperoni and the wonderfully large slices are served fresh, hot, and gooey, with just the right amount of oiliness! The sauce is unsweetened and there is not one kernel of corn to be found anywhere! Pizza slices cost 4,000 while whole pies will run you 20,000. There is also a sausage and potato platter that I have yet to try as I can’t pass up the plain cheese pizza as the herbs mixed in are too tasty. The craft beer comes in four brews: Pale Ale, Weizen, Oatmeal Stout and a Watermelon Wheat Ale. The Pale and Weizen come from Kapa Brewery in Seoul, while the stout and wheat ale are imports from breweries out of California. Prices on the draft beer range from 5,000-7,000. Every won I spend on this beer has been well worth it to me. There are whispers that once the family opens their microbrewery in Seoul he beer selection will rotate.